A perfect pucker that lasts. An end to ‘bleeding’ lipstick. Draw on an invisible boundary around the lips and see how long your lipstick stays on… you may go everywhere… but you lipstick won’t! 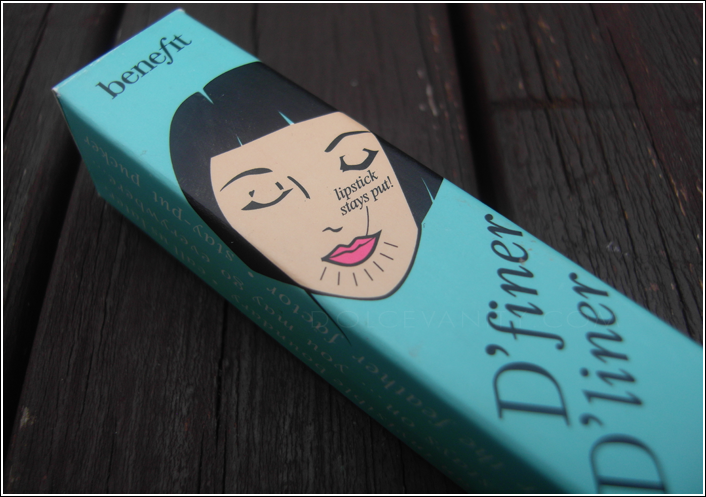 D’finer D’liner will conquer the feather factor and will make lipstick stay put. 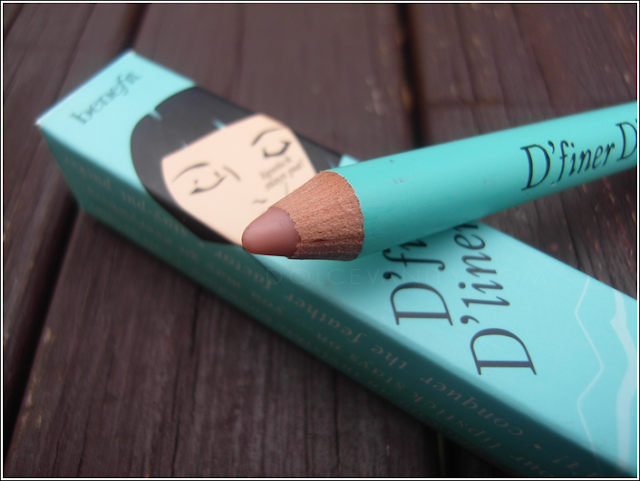 Unlike other lip pencils that sometimes can feel dry. This is more of a wax, I described it as applying crayola *shrugs* was the first thing that came to mind lol, odd I know. It applies easily, glides across. I apply it all over my lip to prevent bleeding or feathering & of course as it suggest outside the lip line, that feels quite odd. Reminds me of a child just playing with make-up YET it's cool as it works. I noticed that when I apply it all over my lips too, it does last a lot longer like lipstick is meant to when using lipliner. It basically does what it says stops bleeding & feathering. It's one less thing to think about when your out & about. Applying it outside my lipline sure does feel weird but I tend to do a fine line but make sure it's just enough to stop the lipstick feathering. I have yet to sharpen the pencil so I cannot comment on the ease of that. Being wax it can be easy or a tough cookie to sharpen. Would I Purchase Again : Yes I would.